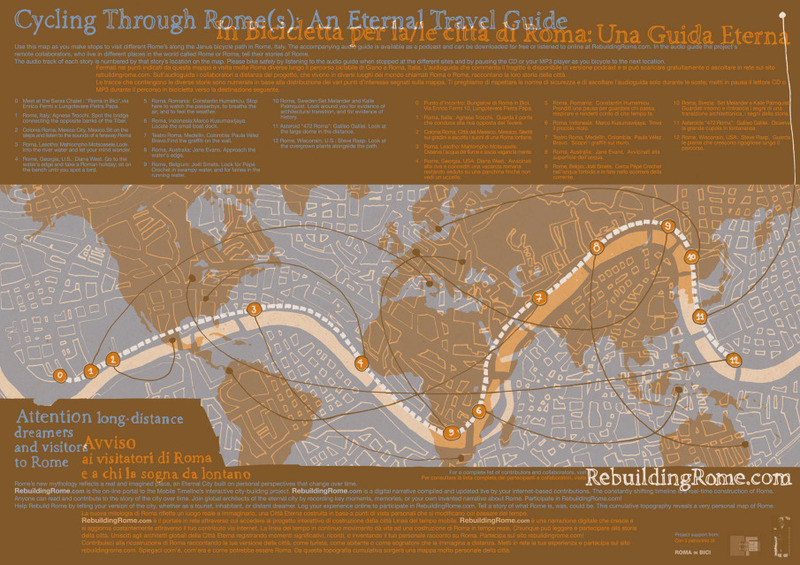 A city-building project in collaboration with psychogeographer Liz Kueneke and constructed by Romans everywhere – namely, citizens of places called Rome all over the world who tell their stories of along a bike path in Rome. Rebuilding Rome is an adventure through time and across countries, located on the Janus bike path along the Tiber River. 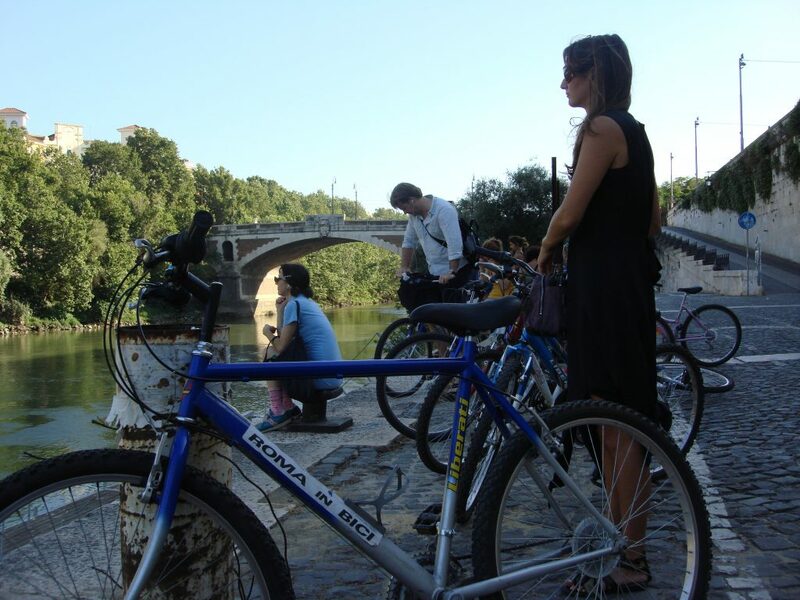 The participatory biking and storytelling project presents the re-history of Rome, where place shifts and viewers find themselves transported around the globe in different versions of Rome. Cyclists along the Janus path travel along a moving timeline, guided by an audio tour and map that draw parallels to other places named Rome or Roma located around the world. Rome’s Mobile Timeline is a foray into the psychogeographical properties of urban existence. The project questions how the morphology and embedded meanings of place affect people’s psychological relationships to a particular place, and thus human behavior and the course of events, and vice versa. 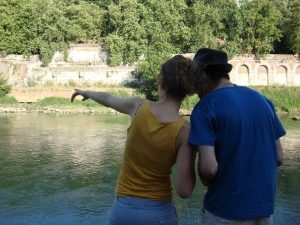 Stories collected during the project will add to personal and collective understandings of Rome, modifying the city’s past. The revised Rome is built on personal and shared experience. A participant’s real memory of learning to ride a bicycle in Borghese Parc in 1976 could be layered upon an imagined flood in the year 2120, and overlaid again with an account of an historical hot air balloon ride that took place in the central park of Roma, Sweden in 1890. Each of these stories adds to the repertoire of constantly changing mental constructions of Rome, a city that everyone holds within their mind. The Mobile Timeline presents a collective picture of Rome and maps a topography built on the individual experiences of visitors and inhabitants, storytellers and dreamers. The project offers viewers the tools to add to the picture, to reposition and remap the city according to their own psychogeography. Each of these personal maps builds Rome.